Here at Pick N Mix DIY, we supply all the ingredients and accessories for you to mix your own e-liquid,quality flavor concentrates, nicotine, PG, VG and everything else needed. Please note that this shop is strictly for persons of 18years and over. 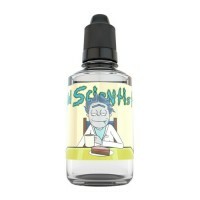 Also please note that liquid nicotine is toxic and must be handled with care. Flavour: English scone with strawberry jam and devonshire clotted cream. Recommended Steep Time:.. The Captain's classic vanilla custard base, with a sweet butterscotch drizzle. Mix at 25% For use ..
With all the fresh, juicy citrus flooding the fruit stands right now, it seems the perfect time t..